Being a wedding photographer in Vermont means that I get to shoot weddings at stunning locations like Shelburne Farms, located in Shelburne on the shores of Lake Champlain. Weddings at Shelburne Farms are hosted at the Coach Barn, which has original wood wainscoting and hardwood floors. Ceremonies are typically held outside on the lawn with Lake Champlain the Adirondack Mountains serving as a stunning backdrop. This Vermont wedding venue has on-site deluxe accommodations for your out-of-town guests and offers catering by their award-winning chefs. Located in Burlington, The 18-acre Essex Resort & Spa has a variety of options for wedding ceremonies and receptions. Your wedding should be customized to you, after all. 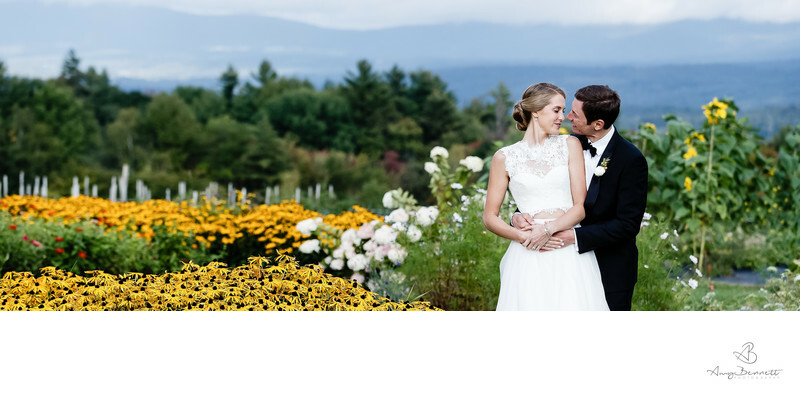 The Essex Resort & Spa is ideal for an elegant Vermont wedding, with classic Vermont mountain views. Country Club of Vermont, located in Waterbury Center, has no shortage of views to serve as a background for your wedding photos. Guests will enjoy the backdrop of the Green Mountains, which will also serve as an excellent backdrop for your Vermont wedding photos. 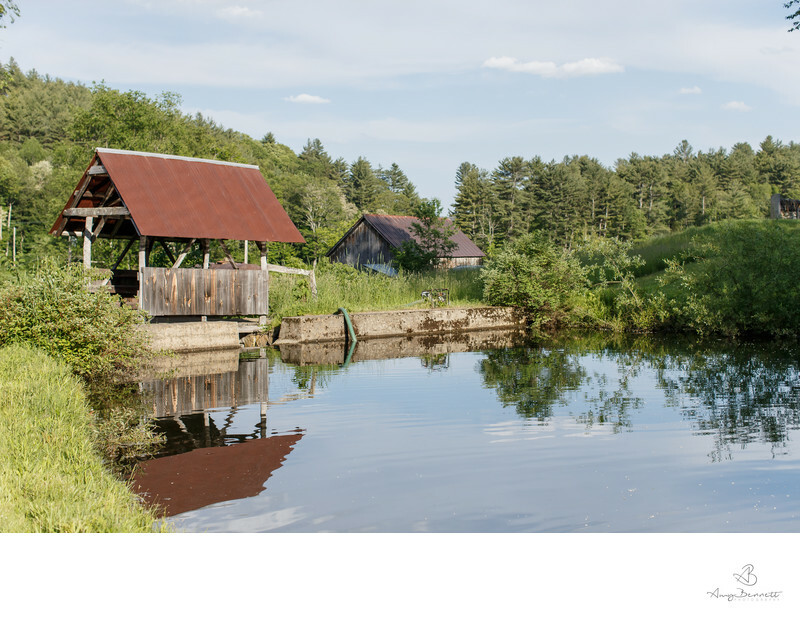 Their country-themed clubhouse is perfect for wedding photographers in Vermont, who are well-versed in making sure the details of a venue are highlighted in the photographs. Unlike some other Vermont wedding locations, Trapp Family Lodge in Stowe hosts weddings in every season. Why wait to have your wedding in the busiest season (summer) when a snowy Vermont winter wedding is so ideal for wedding photos? The Mozart Room at the Trapp Family Lodge has an open-hearth fireplace--perfect for a winter wedding ceremony or reception. Then again, if you aren’t as crazy about winter weddings at this Vermont wedding photographer, Trapp Family Lodge has stunning outdoor ceremony and reception sites that are great for spring, summer, or fall. When choosing your site, you get to consider which mountain range you’d prefer as a backdrop, the Worchester Mountains or the Nebraska Valley mountain range. Located in Charlotte, The Old Lantern’s claim to fame is that it has the largest laminated maple dance floor in the state of Vermont. If your invite list consists of a lot of people who love to dance, there’s no better place to host your Vermont wedding. The property is nearly ten acres and has dozens of perfect spots for the couple to sneak away with their wedding photographer to capture more intimate moments. Lake Champlain can be used as a backdrop for photos and is a stunning view for guests to enjoy. Keywords: amy bennett photography (606), details (129), Rudyard Kipling (33), Scott Farm Market (15), wedding (447), Wedding Dress (156).